Athenea Laid is a quality paper brand with an image and style that combines the best of the ancient world with the needs of the modern age. 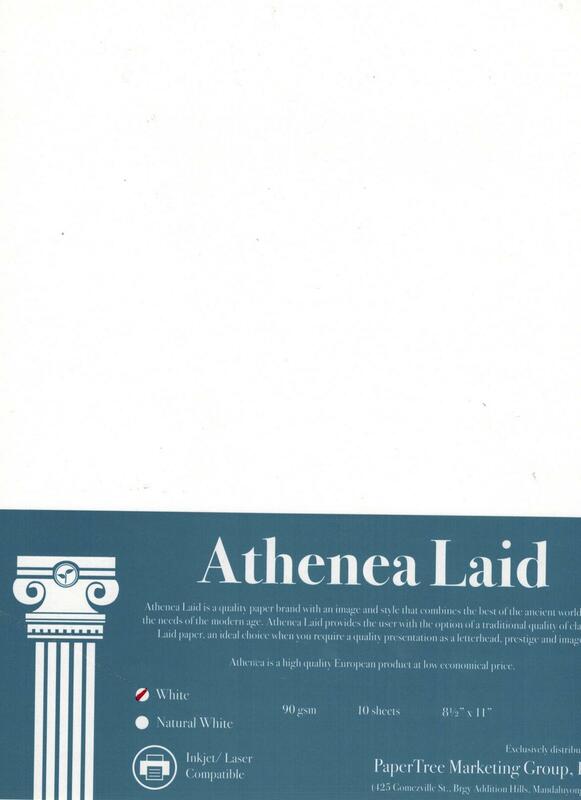 Athenea Laid provides the user with the option of a traditional quality of classical Laid paper. An ideal choice when you require a quality presentation as a letter head, prestige and image. Athenea is a high quality European product at alow economical price.